The planet Mars has held a place of intrigue with humanity for many centuries. 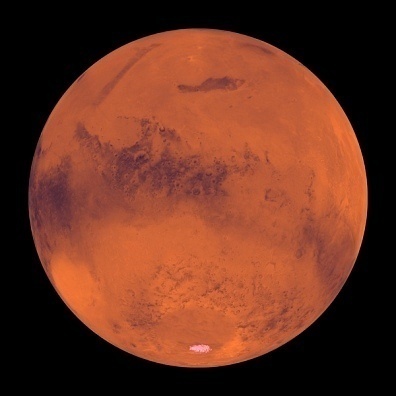 Also known as the “Red Planet,” Mars can be seen with the naked eye and looks red due to the large red desert covering its surface and the presence of a large amount of ferric oxide. As the fourth planet in the solar system, and final one before the asteroid belt, a common question that arises amongst students and adults is what is Mars made of? Is Mars Made of Similar Material to Earth? The basic composition of Mars is similar to Earth. The core of the planet consists of primarily iron and sulfur that is surrounded by a mantle consisting of silicates. The crust of Mars covers the mantle and is made of basalt and iron oxide which contributes to its red color. Although the core of Mars has a significant amount of iron, it is solid and does not move like the Earth’s which is molten and always in motion. Scientists believe the Mars core is approximately 2,960 km in diameter but does not create a magnetic field due to its solid composition. As a result the planet is continually exposed to significant radiation which may have killed possible life forms thousands of years ago. What is the Mars Mantle Made Of? The mantle of Mars is similarly dormant as the core of the planet. Studies conducted to date have detected no tectonic plate movement or action that reshapes the surface or helps to remove atmospheric carbon. It is believed that the mantle is very soft and similar to a rock paste in texture. The past exploration of Mars showed that the planet did have a magnetic field billions of years ago as well as a very active tectonic plate movement. Scientists believe that a significantly large meteor hit the planet about four billion years ago (the suspected crater is approximately 10,600 km by 8,500 km in size) which may have resulted in the core solidifying and tectonic action ceasing. The Mars crust is comprised primarily of basalt that came from volcanic activity estimated to have occurred several billion years ago. The thickness of the crust is estimated to vary between 50 and 125 km. A significant section of the outer crust edges is made of iron oxide dust which can move or be destroyed in a fairly quick time frame due to the high speed of Martian winds. The Mars surface composition contains a slight alkaline soil which includes sodium, potassium, chloride, and magnesium. These nutrients have led the scientific community to conclude that the soil would be conducive to the growth of living organisms. pH testing of the soil of Mars has also show traces of salt perchlorate tracers. Due to the low atmospheric pressure on the planet, the presence of liquid has been ruled out; however, it is believed that there are significant quantities of water trapped beneath the thick cryosphere of the planet. The rough texture, hydro-volcanic cones, and thermal inertia found on the planet’s surface are thought to contribute to the thinking that the surface previously saw significant lava flows. The planet’s harsh environmental factors are one of the many difficult challenges mankind will face if and when a manned Mars mission is ever undertaken. What is the Atmosphere of Mars Made Of? The surface studies conducted on Mars have revealed the presence or large flood channels, carbon dioxide dust, and significant movement of surface dust. The planet lost its magnetosphere about four billion years ago which has resulted in direct impact of solar winds upon the ionosphere. 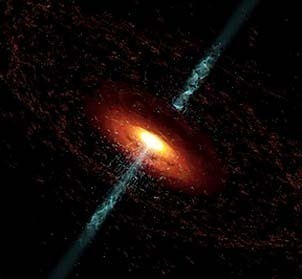 These particles can be seen coming off of the planet which makes the surface atmosphere very thin. The gravity found on Mars is only about 38% of that found on Earth with the atmospheric pressure ranging from 0.03 kPa to above 1.155 kPa. The planet’s atmosphere ranges in temperature from -200ºF at the higher altitudes to -40ºF along the surface. The temperatures get regulated by the surface dust being blown around which absorbs sunlight and helps to regulate the temperatures of the atmospheric gases. The clouds observed in the atmosphere are made up of frozen CO2. Methane: 30 ppb by volume. Oxygen and water: trace amounts. With Mars being one of the five planets visible to the naked eye, it has been discovered, and rediscovered a number of times throughout human history. Unlike the stars, Mars changes position every evening with the associated red color of the planet changing intensity based on the distance it is from Earth that evening. 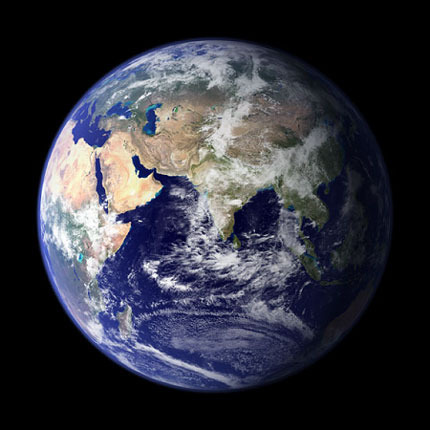 The Egyptian people called the planet the “Red One” or “Har decher,” the Greeks called it “Ares, and the Babylonians, “Nergal” or “The Star of Death.” The Romans gave the planet its current name of “Mars” which according to ancient mythology was the father of Romulus and Remus who founded Rome. As a result, Mars was considered to be the protector of the Romans. Tycho Brahe, a Danish astronomer, made calculations of the position of Mars in 1576 using only his eyes. Later, German astronomer Johannes Kepler came forward with the then revolutionary idea that the planet’s orbit was elliptical vice circular. At the time his theory was fairly controversial as the majority of astronomers of the day believed that all planet orbits were circular. Later, Kepler would claim that all planets’ orbits were elliptical vice circular in nature. Nicolas Copernicus would be the first scientist to create the heliocentric model of the Solar System. He would change the common belief that the Earth was the center of the universe and prove that all of the planets in the Solar System rotated about the sun. His theory was first published in 1543 and Galileo Galilei would back his claims. Later in 1659, a Dutch astronomer, Christian Huygens, would draw Mars using observations made with a self-designed telescope. He would also be credited with the discovery of the Syrtis Major feature on the planet. 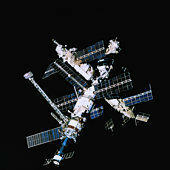 More than two decades later in 1877, Giovanni Schiaparelli discovered several lines crossing one another on the planet. At the time, he said they were water canals that were made by intelligent life forms. Mariner 9 was first sent to Mars in 1971 and sent back images of large canyons and enormous volcanoes. The mission also helped to discover Olympus Mons which is large enough to cover the entire state of Missouri and would reach 15 miles above the surface of the Earth. Later, in 1975 the Viking I and II missions would land on Mars and analyze the soil and rocks of the planet. Mariner 9 was sent to Mars in 1971 that came back with images of huge volcanoes and vast canyons. It helped discover the famous volcano that is not on Earth, Olympus Mons located in the Tharsis region in the North West hemisphere of the planet. It is so big that it could cover the state of Missouri or roughly the size of Arizona. It would reach a height of 15 miles above the surface of the earth. The volcano is also the highest of all observed mountains in the worlds studied to-date in our Solar system. The total height of Olympus Mons is 26 km from the base to the top of the volcano making it three times taller than Mount Everest. In 1975, Viking I and II landed in Mars that analyzed rocks and soil of the planet. The Mars Odyssey mission was later launched in 2001 and remains in orbit at the time of this writing. The Odyssey satellite has made a number of discoveries about the planet and also serves a vital function as a communications relay for the Spirit and Opportunity rovers that conduct surface exploration. The next mars lander, Curiosity, will use the Odyssey satellite as a communications relay to support the stated mission goals of looking for present or past life on the planet, to study the geology and climate, and collect information for future human missions to the planet. The radius of Mars is about one-half the size of the Earth. The mass of Mars is 11% of Earth’s and the volume is approximately 15% of Earth’s size. The gravity on the planet is significantly weaker when compared to that found on Earth; however, the planet’s crust is much thicker. Overall, Mars is significantly smaller as compared to Earth, but it has a number of surface features which are similar to those found on our planet along with changing seasons. Mars tilts on an axis similar to the Earth and has polar ice caps on at both poles which add to the similarity of the two planets. Seasons on Mars resemble those found on Earth due to the axial tilt of the planet. Since a year on Mars is approximately 687 days; however, the seasons generally run twice as long as they due on Earth. The surface of the planet is highly vulnerable to destruction by solar winds due to there being no magnetic field and the ultra-thin blanket of atmosphere which can further impact the conditions of the planet’s seasons. Mars has a canyon named, Valles Marineris, which runs along the planet’s equator. It holds the distinction of being the largest canyon observed in the solar system and runs approximately 4,000 km in length, as wide as 200 km, and has a depth of approximately 7 km. To date, the water found on Mars exists in the form of ice beneath the planet’s polar ice caps. At one point in Martian history, water flowed on the surface, but the current atmospheric pressure is too low to permit any water on the surface. The southern polar ice cap is estimated to contain enough water to cover the entire planet’s surface to a depth of 11 meters or more if it were to melt and not dissipate into the atmosphere. Why Does Mars Look Red? One of the most common questions that arise amongst young students is why Mars looks red. The answer lies in the large amount of ferric oxide found on the surface of the planet which is also known as rust. This gives the entire planet’s surface a red-orange tinge that looks red to the naked eye when viewed from Earth or by the rovers that have operated on the Martian surface which sent high resolution imagery back to Earth. There are two moons which orbit Mars: Phobos and Deimos. Phobos is the Greek word for “Fear” and Deimos is the Greek word for “Terror.” Scientists believe the moons to likely be captured asteroids which are irregular in shape and small in size. American astronomer, Asaph Hall, first discovered the moons in 1877 using a large refractor telescope. Phobos is the larger of the two moons and has a mass more than seven times the size of Deimos. It is on an unstable orbit which may result in a collision with Mars in a little more than seven million years based on the latest scientific calculations. Although scientists have collected a significant amount of information that helps answer the question, “What is Mars Made Of,” the next big step in scientific discovery of the planet lies in a future manned mission. In the short-term, this is not likely to occur soon; however, the next Mars rover mission will be collecting additional information that will be used for manned mission planning in order to safely conduct the future mission and obtain more information on the history of Mars. In order to allow researchers, students, and just interested people see the latest imagery and pictures of the planet prior to the time mankind visits Mars in person, Google publishes a freely available Mars Labs page. 110 queries in 0.297 seconds.